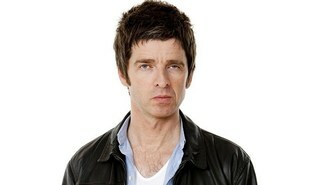 News - Noel: I've got moves like Wyman! Noel: I've got moves like Wyman! The ex-Oasis star recently played his 100th gig as a solo artist. "Any confidence I have on stage comes from the songs I've written," Noel said. "As the song goes, I haven't got moves like Jagger. I've more got moves like Wyman. "People at gigs either want to dance or sing, and I can make people do that. "Plus they're not watching me anyway, they're staring at the heavens singing their hearts out, and that's magical. Lucky me." The singer said that he wants to end his tour in November. "Next year is basically going to be me at home waiting for a call to do something. "For now I'm just going to enjoy the rest of the tour, and look forward to sitting on my a*** next year," Noel said.